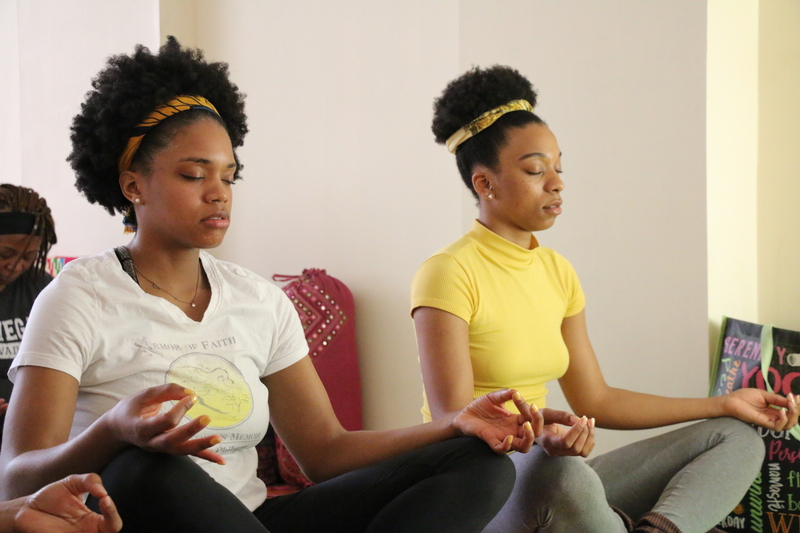 This past week I had my 2nd event, Sacred Woman Yoga in Philadelphia. 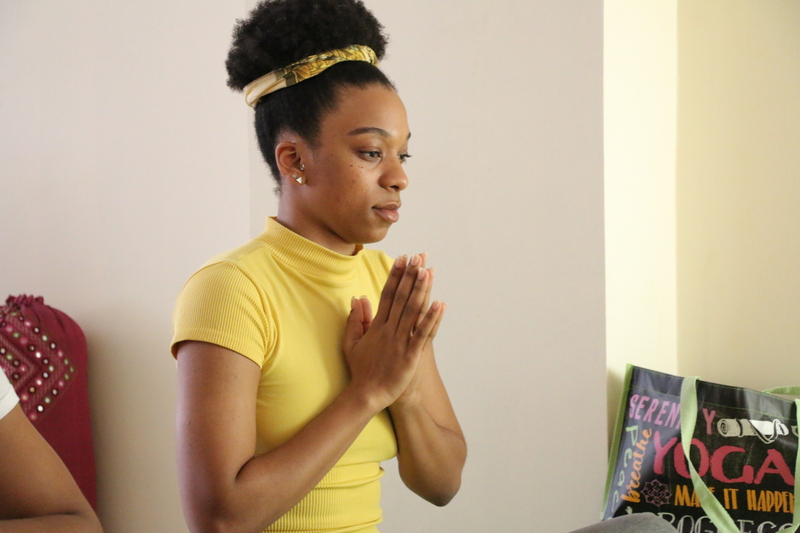 I engaged with women who were seeking yoga as a way to strengthen their minds, bodies, and spirits. We learned from the wisdom of Dr. Robbin Alston who is the Queen Mother of Ase Yoga Studio and Tea Room. 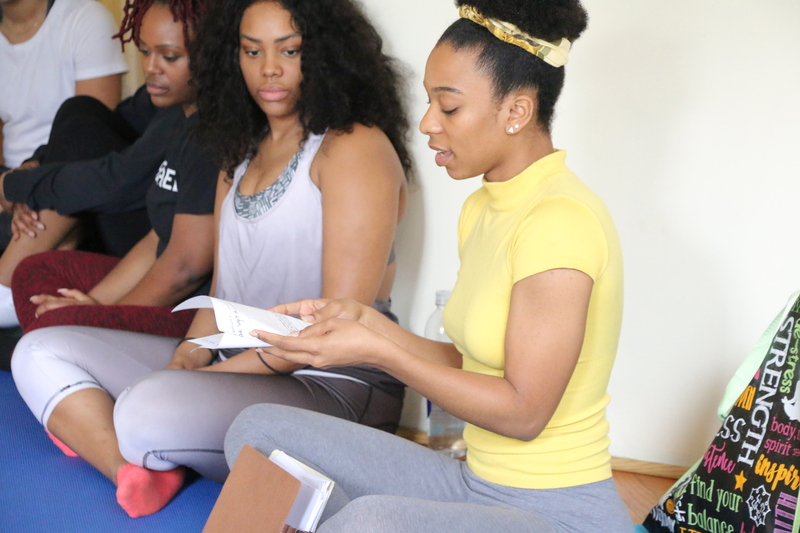 She shared the history and value of yoga with attendees and led a yoga class to prepare our minds and bodies for further instruction from myself. It was a great experience, just learning and sharing with positive women who are committing to a life of peace and prosperity. As we breathed and focused our attention together, we created a system of vulnerability and support that will continue to strengthen us beyond the space. I did a radio program the next day where the host asked me about what I learned from my event. She thought that since I was in the beginning stages of hosting events that I was experiencing something new in my journey to myself and my purpose. Of course what I have learned from my events thus far about coordination, and marketing, and relating, etc. has allowed me to grow in the pursuit of my mission. But what I have really learned, or been reminded of I should say, is that we are constant reflections of love and light and we have more in common that we know. I have rose back into remembering that I am learning just as much if not more than I am teaching and that every experience is a a new lesson in growth and gratitude.